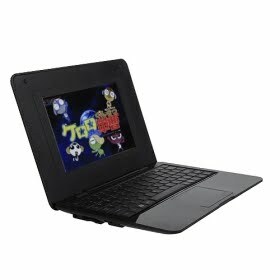 NPW Is Now Connected With Googman.Com ! Information Delivered By Experts That Are Close To You. Websites Do Not Sell On The Internet, (People Do) !! An Increase Of Over 20% Since 2008 According To Experts. GOOGLE IS THE KEY ! The images actually went up a couple of days before Apple made its big iPad splash last week. Meanwhile, Apple CEO Steve Jobs has followed up that announcement with some tough talk regarding Google and its efforts to horn in on Apple's iPhone business with Android, so Google's tablet efforts are sure to get Jobs' attention as well. Glen Murphy, a user interface lead on Google Chrome/Chrome OS, this week made note of the Chrome OS tablet images via his blog and Twitter. 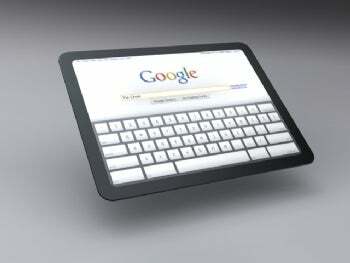 Google says some possibilities for a Chrome OS tablet would include keyboard interaction with the screen (a virtual keyboard showing up on the screen), something Apple demoed as well during its iPad launch. Google showed its Linux-based Chrome OS to the world in November and has described it as being targeted at notebooks, but some say the OS could be ideal for more Web-oriented tablets. 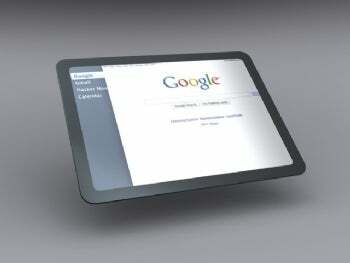 Google has laid out a variety of possible form factors for Chrome OS devices. 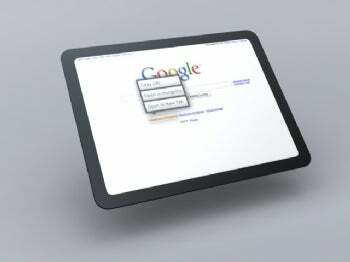 Chrome OS stems from the Chrome Web browser, which continues to take share from Microsoft IE and Mozilla Firefox. Naturally, competition between Google and Apple wouldn't be complete without Microsoft in the tablet mix as well. 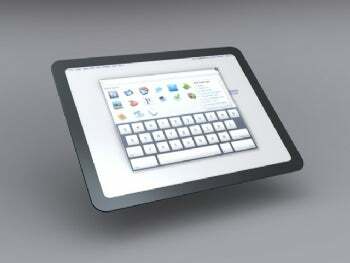 Microsoft recently showed off its latest tablet, the Slate PC, in conjunction with HP and others. For more information about enterprise networking, go to NetworkWorld. What Can I Do With My Apple Ipad? Google Voice On a Shoe string!! LifeHacker's Android Apps List !! After writing a couple of columns about the advantages of creating a Facebook business page, I thought I should tell you how to go about doing so. This won't be a detailed technical tutorial. Some companies are building whole e-commerce storefronts around Facebook's application programming tools, but you can get started much more simply. You want to get started now, so you can capture your business "username"--a short address like www.facebook.com/carrcomm that you feature on business cards, brochures or your e-mail signature. Some marketing experts believe capturing your Facebook page name (along with your Twitter URL) is proving almost as important as capturing your Internet domain name (See "The Facebook Opportunity" and "How Facebook Changes Marketing and Sales"). --Invite friends and customers to "Like" the page (register to get your updates). --Secure a unique page username. No. 2 is a prerequisite for No. 3 because Facebook will not let you establish a username until you have a minimum number of people register. At this writing, you need 25 Facebook fans. And just like with dot-com domains, you want to secure the name that's the best match for your brand before someone else gets it. 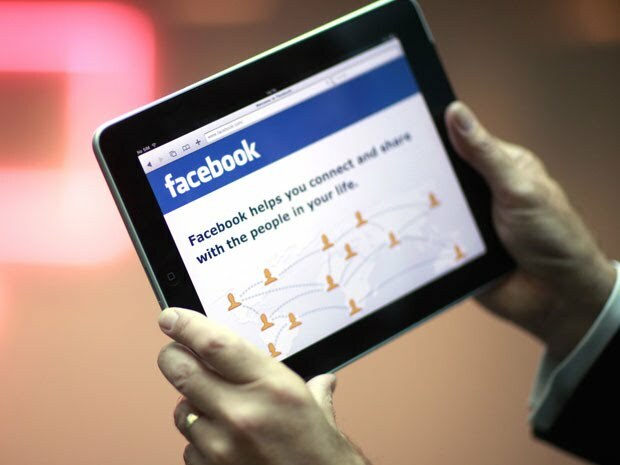 A Facebook page is also known as a "fan page" because until the Like button came along, Facebook asked people to click a button saying they wanted to "become a fan" of a page. Although it looks much like a personal profile, a page for a business, nonprofit, political campaign or other organization has different ground rules. An individual can only have 5,000 online friends, but that limit does not apply to a page. And where "friends" have to be approved individually, Facebook's Like button functions more like the "Follow" function on Twitter, where no such approval is required. A Facebook page is also a natural destination for any Facebook advertising campaigns you may choose to run. Note that it's important that you do this yourself, or have it done by someone you trust implicitly. Whoever creates the page is registered as the owner of the page. That is, the ultimate right to modify or delete the page will be associated with that individual's personal Facebook login. After the account is set up, you should assign administrator rights to other users, so no single person becomes a bottleneck. Give some care to the selection, particularly between "local business" and "brand, product or organization," because you won't be able to change it later. Categorizing your business as local might be an advantage if you want this page to show up in regional directories. But if you sell nationally, you may want to identify yourself as a brand. Before you decide, also study the drop-down list under each category to see the best match for you. Some options that are available under local business are not shown under brand, and vice versa. After choosing your category, give your page a name and check the box that says you are authorized to create a page for this brand or organization. You will then be taken to the basic page template, a blank Facebook profile for your business. Follow the onscreen instructions to customize the page. Then create a few starter messages before you start inviting people in, so there will be something there for them to Like. Now, it's time to Like your own page, invite in friends, family and colleagues to populate it, and then start spreading the word more broadly. Click on the "Suggest to Friends" link to call up the dialog box for inviting people who are in your existing personal network. Because you haven't yet secured your Facebook page username, your page will have a long messy Web address, but you can still put it in an e-mail and send it out to customers you're not personally connected with on Facebook. Once 25 or more people sign up for your page, you're ready to move on to the next step. Step 3. Set The Facebook "Username" For Your Page. Facebook first displays the option for setting the username for your personal profile. If you haven't done that yet, you might want to do it now, as a way of building your personal brand. There's a separate link on the same page for setting a username for a page. This will display a drop-down list of any pages you have registered. If you try to do this before racking up those 25 Likes, you'll get a message saying your page "is not eligible for a username at this time." If your page is eligible, Facebook will display a data entry field where you can type in the desired page username and click "Check Availability." If the username you want is not already taken, you will then get a chance to lock it in. Think carefully before you do so, because you won't be able to change it later, you're not allowed to transfer it to someone else, and you can't infringe on anyone else's trademark. Essentially, Facebook is trying to avoid getting into all the complications associated with domain name registration and ownership disputes--although these will doubtless arise anyway. Now that you've established a home for your online identity on Facebook, you can start enhancing it. You can do a lot with the built-in tools, such as The Wall for your page. There are also many options you can configure within the basic setup, before you get fancy. The initial setup includes a few default page tabs, including Wall, Info, Photos, Discussion and Reviews. There are others you can readily add, such as a tab for videos, and you can also go shopping for applications, created by Facebook or independent developers, that will add more tabs to your page. For example, if you're an independent consultant, you might want to add a tab displaying your LinkedIn profile. And if you want to get more ambitious, you can create your own custom tabs, or hire a Web developer to create them for you. But probably the first thing you want to do is start a conversation with your customers and maybe announce a special offer or two, which is no harder than posting a status message. Several Breakthroughs In New Internet Business Ideas ! Are you searching for new internet business ideas? There are many fresh opportunities popping up all of the time that can help you earn money on the Internet. Taking control of your financial life can have considerable rewards. If you take some time to weed through all of the opportunities out there, you will be able to make a great choice about your own home business and find something that will propel you to the top of your game. Many people have begun to write to make a living and starting a solid blog can help you find success. You will want to create a blog about something that you are very familiar with and posses a lot of information about. Updating your blog regularly is another important aspect of having a blog. You want your visitors to have new information that they can use each time they visit your blog. You should keep all information you post relevant about your subject and you can offer tips and suggestions to help others. If you do it right blogging can be very profitable. There are many affiliate marketing programs online and this is where many people are turing to get their own Internet success started. You are provided with the product and then you go out and find potential customers. This can be a great way to get involved with a excellent online business. Affiliate marketing is changing all of the time and there are many new internet business ideas related to affiliate marketing springing up all of the time. You can easily start more then one opportunity, but you should make sure that you have the time to invest in everything you are trying to do. to promote. Stocks are another way to make money online and penny stocks are an easy way to get familiar with the stock trading process. out there can help you to stay fresh and exciting and this may be the boost you need to make it in the world of online business. Suzanne Morrison is the owner of an internet business ideas website that teaches average people how to make money in her Internet business blog. For the best legitimate home business anyone can make money with visit it today! My name is Suzanne Morrison and I’d like to welcome you to my Higher Search Engine Ranking website – dedicated to helping you get an improved search engine ranking with lots of free and easy to understand, step by step SEO tips. Do you have a website or are you just getting started with creating your own website? Do you want lots of high quality free traffic but don’t want to pay thousands of dollars to an SEO company to optimize your website? If the answer to any of the above questions is “Yes!” then read on…. On this SEO tips website you’ll find lots of free advice on getting a higher search engine ranking for your website. All of these steps are essential to getting an improved search engine ranking. Miss out one step and you are likely to receive very few visitors from the search engines. If you are new to SEO I recommend signing up for my Free SEO Training Course – The ABCs of SEO. Just enter your name and email address in the box on the right hand side and you’ll start receiving SEO tutorials by email. You’ll also get a free report with information about 10 of the best free search engine tools. If you are looking for a more indepth blueprint with step by step instructions, screenshots and examples, you may want to take a look at my 3 Steps to Search Engine Success Guide – the EBook that will help you to achieve a higher search engine rank regardless of your experience. This guide explains in simple and easy to understand terms, with lots of worked examples and pictures, exactly how to get your website to the top of the search engines.You’ll find out how to find the best keywords for your website, how to optimize each page on your website, how to get a higher search engine rank by building backlinks and what NOT to do if you want to get an improved search engine ranking. Have a read of my latest SEO blog posts below to find more tips for getting a higher search engine ranking. If you are doing some niche research in preparation for creating a new website, writing an EBook, or if you are just trying to think of some new content for your existing website, it helps if you can find out what questions people are asking. Social bookmarking is something that you can do for free to improve your search engine ranking. The problem is, many people do this incorrectly and end up doing more damage than good! If you are considering social bookmarking for SEO, I highly recommend downloading this free social bookmarking guide. How Long Does it Take to Rank Well in the Search Engines? I often get asked the question “How long does it take to rank well in the search engines?” Unfortunately his is one of these questions with the answer “it depends“! Many people overlook the power of forum link building but it has a lot of benefits and is a great way to get targeted traffic while building backlinks. I say the only down fall is that it can be very time consuming to do this right! I don’t like to get too techie in my posts, but a lot of people ask the question “what is a robots.txt file” or want to know how to create a robots.txt file. Don’t EVER Pay to Get Paid - Yes, you may have seen this said in various ways throughout this site and others. Honest, legitimate GPT sites never require payment for registration nor will they require you to purchase an account upgrade to enjoy the full benefits of the site. If you encounter a site that requires any sort of payment related to your GPT site member account I would suggest that you stop to ponder what makes this site tick. The GPT business model allows a wide enough profit margin for both the member and the site to earn a rather substantial income while providing the sponsors with a worthwhile bang for their buck. If a GPT site requires payment then it says to me that the inside site content and the incentive opportunities it displays may not be as fully developed as the webmaster’s urge to make a quick buck on people paying to become a member of the site. This also goes for sites selling lists of GPT sites C’mon people, just Google. There is plenty of information posted freely all over the web on the subject of legitimate GPTs. Low (or No) Minimum Cash Out - I truly don’t understand why GPT sites that have a required minimum cash out amount of greater than ten-dollars ($10) still exist - shouldn’t they have been extinct by now? There are plenty of established legitimate GPTs out there that are now sporting minimums of less than two-dollars ($2) - some next generation GPTs now don’t even bother having a minimum cash out amount that must be reached before requesting payment - that’s right no minimum cash out! Not only don’t you have to worry about leaving any of your hard earned money behind in the site’s hands (yes, it’s YOUR money the minute you earned it), but I find it’s simply a much more rewarding experience not having to deal with minimums. Q: What is affiliate marketing? A: Affiliate marketing is a specialized internet marketing practice based around rewarding affiliates for driving traffic from one website to another. Generally, affiliates place links or banners on their website to send visitors or customers to the advertiser's website. Based on meeting certain criteria, the affiliate is then paid for the referrals. Q: What is the Yola Affiliate Program? A: The Yola Affiliate Program allows you to make money every time you refer a customer who purchases a product from Yola. By becoming an affiliate (also known as a publisher or referrer), you can be rewarded by placing links to our products on your website. These links will give visitors to your site an opportunity to sign up with Yola. When the customers purchase a domain using a link on your website, we pay you a commission for the sale. Q: What is Commission Junction? A: Commission Junction is one of the largest affiliate advertising networks in the world. In addition to its expertise as a market leader, the company provides tracking, reporting and monthly commission payments for the Yola Affiliate Program. Learn more about Commission Junction. Q: What technical skills do I need? A: Affiliates or someone associated with their site needs to know how to copy and paste HTML code and place it accurately within the code of a web page. You can get further technical support with the Contact Us tool provided in the Commission Junction interface. Your first visit? Then you’ll certainly want to grab a FREE copy of my "Quick Cash Escalator" training module that will reveal how to build a profitable online business fast. Amongst other things, you’ll discover the exact steps I followed to go from zero to $7,230.95 in 30 days from scratch. PLUS you’ll receive a whole bunch of business building goodies just for giving it a try! After much demand we’ve finally gone ahead and opened up the “Get More Momentum” PLATINUM membership program to the general public. This is the DEFINITIVE membership site revealing a step by step system to building a $20,000 per month online business by doing the exact opposite to what most so called “gurus” teach. Here’s two reasons why you’ll probably want to join today. 1) For a LIMITED TIME you can take advantage of our crazy $1 day trial membership meaning you can sample everything with NO RISK (it’s a total no-brainer). 2) For a LIMITED TIME you can claim FREE access to four Lee McIntyre products worth $788 when you grab your trial today (this won’t last for long so you’ll need to hurry). I’ve just put together a cool video revealing a FOUR STEP system that actually works. So if you’re wanting to build your online business FAST… even if you’re just getting started… then go HERE for this FREE training now. This video certainly won’t be available forever so go watch it now, and then let me know what you think, okay? Hi everyone… this is James here from Lee McIntyre’s office. I just wanted to write a quick message to give a massive apology for our support desk being down over the Easter holiday. Unfortunately we had a minor technical problem, which we’ve now fixed, and everything is up and running and working fine again. If you tried to submit a support ticket over the Easter holiday we’re very sorry for the inconvenience, and if you’d like to re-submit your ticket and receive fast, friendly assistance with any issues that you have then please go HERE now. Once again we’re sorry for the inconvenience but we hope you had a great Easter! It’s been a few weeks since I’ve been in touch with any new content and LOTS of subscribers have been asking where I’ve been. Well the short answer is I’ve been busy. And the long answer is I’ve been locked up in the basement at Lee McIntyre towers creating a fantastic new site that I know is going to cause a BIG stir in the Internet Marketing community. I can’t say too much right now but I CAN say that Lee-McIntyre.com might not be around for too much longer. Anyway, I’ll be sharing more in the days ahead but for now I’ve made a quick update video giving you a sneak peak behind the scenes of my Marketing office. I’ve got LOADS of cool content coming over the next few days so keep your eyes peeled for the good stuff… PLUS this site will be going through some major changes that will benefit everyone. Here’s a super cool video where Jit Uppal reveals what it REALLY takes to succeed online. Pay close attention to the importance Jit places on MINDSET. Out of all the people I’ve met online Jit has without a doubt the most POSITIVE and ABUNDANT mindset by a country mile. And it obviously works as he’s raced from newbie to six figure affiliate in record time! In October 2009 I ran my first ever “Profit Max” Workshop in the UK and paid more than $2,000 to fly Jit Uppal to the event from Canada. Because he knows his stuff, that’s why. This is a guy who went from earning a couple of hundred dollars a month (at best) to being my number one affiliate generating more than $100,000 worth of sales! On 25th Feb 2010 Jit’s launching a brand new coaching program and I’ll be offering a bonus where I reveal EXACTLY how he’s dominated my affiliate program with his underground ninja tactics. EDIT: Jit’s brand new coaching program is now live… go check it out HERE while you still can! On Friday and Saturday 19th/20th February 2010 more than 40 determined marketers rushed to attend my first ever “Continuity LIVE Workshop” in Newcastle, UK. Those lucky enough to attend received a PROVEN BLUEPRINT to build a profitable continuity program FAST and a great time was had by all. Cripes, I’m STILL exhausted from the speaking (and drinking/networking) even though the workshop finished more than 48 hours ago! One of the major reasons why people FAIL online is they become AFRAID to face their fears. And I should know because the exact same thing has happened to me all my life. Simply watch the video case study below right now for a valuable lesson revealing how to profit FASTER by quickly tackling your fears and insecurities. Last week I was working with a $15,000 VIP client and we discussed a simple (but effective) plan for DRAMATICALLY increasing their profits in no time flat. Rather than keeping this to myself I figured I’d create a VALUABLE video freebie sharing the exact same concepts that I followed to QUADRUPLE my online business in just a few short months. And now I’m giving this to your totally for FREE. At the start of 2009 I had BIG plans. In fact, my plans were so big that I hoped to QUADRUPLE my business during the following 12 months. You see, instead my business grew TEN TIMES bigger and I enjoyed the kind of life changing success that I never dreamed possible. Well it was actually a LOT simpler than you might think and the good news is I’ve just created a totally FREE video revealing everything. Lee McIntyre went from overworked high school teacher to full time marketer in just 56 days from scratch.He is the founder of Get More Momentum where he shows others how to use honest marketing to build profitable Internet businesses in record time.